"As one of the most effective and far-reaching Asia's scientific journal, a new professional responsibility was upon the editorial team, the responsibility to secure our huge bulk of published articles into the future"
In April 2016, the journal received an email from the chief of Bibliographic Services Division, National Library of Medicine with a given deadline of Nov., 2016 to address the preservation of journal’s archive in a CRL certified repository service. The new editorial team in Tehran undertook the responsibility of resolving the preservation issue. 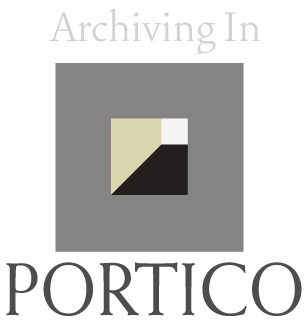 After a thorough evaluation of few available options, the new editorial team decided to partner with PORTICO Repository Service in preserving its archive. The partnership was signed in July, 2016 and announced on August 16th, 2016. APJCP's page is now up in PORTICO's website. In addition, as part of the same efforts, the new editorial team decided to utilize the PubMed Central’s (PMC) archiving and free availability of e-journals contents for its future issues and volumes. For this, a new infrastructure was developed. The new infrastructure enables seamless production of PMC’s tagged XML’s. Our future issues will be available as free PMC full text article (pending on validation of our generated XML's by PMC Technical Review team). Almost four months passed since the preservation issue brought a huge challenge to the routine activity of the Journal, the new editorial team is proud to, officially, announce that the past Archive has been safely deposited in PORTICO's repository system, and the APJCP’ editorial team has fulfilled its professional responsibility.